Security is the most important attribute for any system. Providing secure experience is one of the key principles in the process of gaining customer confidence for a system. Nowadays, almost all the websites are asking to store user’s personal information in servers to understand the customer and serve better. It’s the responsibility of an organization to confirm that customer’s data is safe and accessed in a secured manner. Security in web application is always a big headache for the developer but providing secure environments is one of the key principles in the process of gaining customer confidence for a system. In this era of web applications, almost all websites are dynamic, i.e., database driven and large data will be accepted from user. 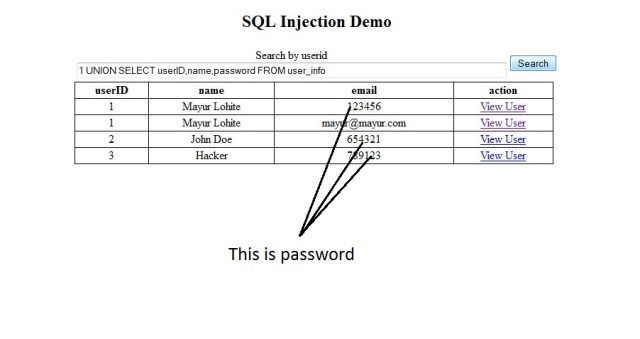 SQL Injection flaws are introduced when software developers create dynamic database queries that include user supplied input. This article explains how SQL Injection is prevented in ASP.NET. 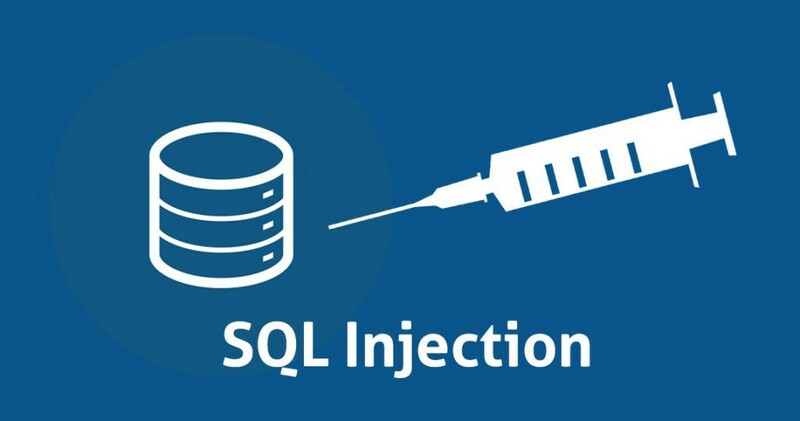 What actually is SQL Injection attack? In today's dynamic web applications world, it's necessary to get user input and process it so we have to write the various types of SQL queries to process the data according to user input. Consider the following query. Table - user_info, Columns - userID, name, email, password. A hacker is usually not interested in PART-1, he is just interested in how he can insert malicious query in your PART-2. Let's take an example of how SQL injection will be exploited. Approach 1: By Input Boxes. A-1. First consider the Default Page, we have One TextBox, One Button and One GridView. On form load, all data will be displayed on grid view. We have functionality to search user by their ID. Suppose I enter 1 to textbox and press button, it will display the record associated with userID = 1. The query is written as a string and user input is concatenated with it. A-3. Suppose the user input is not validated properly, then hacker or attacker can concatenate any malicious query with it. In this scenario, I am concatenating another SELECT statement with the help of UNION to txtUserID.Text. A-4. I have entered the following text on textbox (txtUserID) without quotes "1 UNION SELECT userID,email,password FROM user_info"
A-6. If I hit click on button, the gridview display combination of both SELECT QUERY and the user password is revealed. If the query used with user input concatenation without any input validations, then code is always vulnerable for SQL Injection Attack. Note: I have increased the size of textbox to understand the query better. B-1. Now please go to default.aspx and click on viewuser link on GridView. The page will redirect to viewuser.aspx with userid query string parameter. B-2. The page welcomes the user by their name. The name will founded by userid from query string value. The query is written as a string and the query string is concatenated with it. B-5. If I hit enter, then the label will display the password associated with userID = 1. In both the above approaches, the query is concatenated with user input and the user input is not validating properly. So the attacker takes advantage of it and concatenates the malicious query with it and attacker can get the passwords , install the backdoor. Attacker can manipulate the whole database from sysobject. If your input takes only ids or integers, add some validations for accept only numbers. If inputs are complicated, then use the regex patterns to identify the correct inputs. Parameterized queries do proper substitution of arguments prior to running the SQL query. It completely removes the possibility of "dirty" input changing the meaning of your query, with parameterized queries, in addition to general injection, you get all the data types handled, numbers (int and float), strings (with embedded quotes), dates and times (no formatting problems or localization issues when .ToString() is not called with the invariant culture and your client moves to a machine with and unexpected date format). I have rewritten the above code safe from SQL Inection. Please take a look at it. The SQL Injection is the most common security vulnerability known in web applications. The dynamic webpages without handling validations and improper handling of code may lead to SQLI but by knowing proper code standard and tricks, we will successfully prevent it. 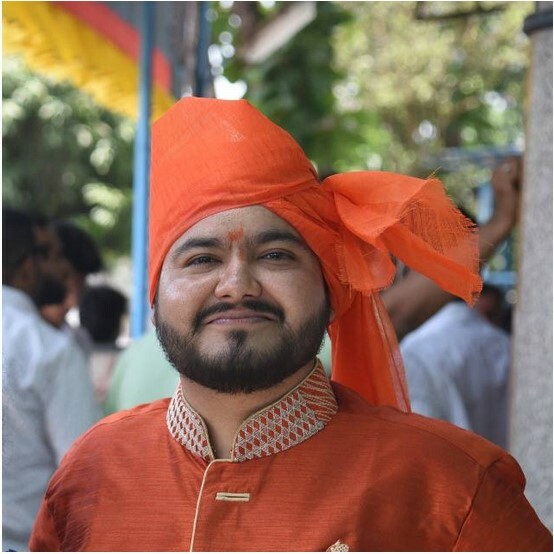 I am Entrepreneur, Programmer and Technology Architect at Nullplex, Loves coffee & sometimes travel. I like Technology, Science as well as I belive in Spirituality. How To Create Custom HTML Helper in ASP.NET MVC? Here Is The Way.